JPCS is a Not-for-Profit concert series based in Wimbledon, performing world-class chamber music and jazz. We run educational projects for local children, sponsor young up-and-coming jazz and classical ensembles, and heavily subsidise all our concert ticket prices, to help ensure music is accessible to all in Merton. 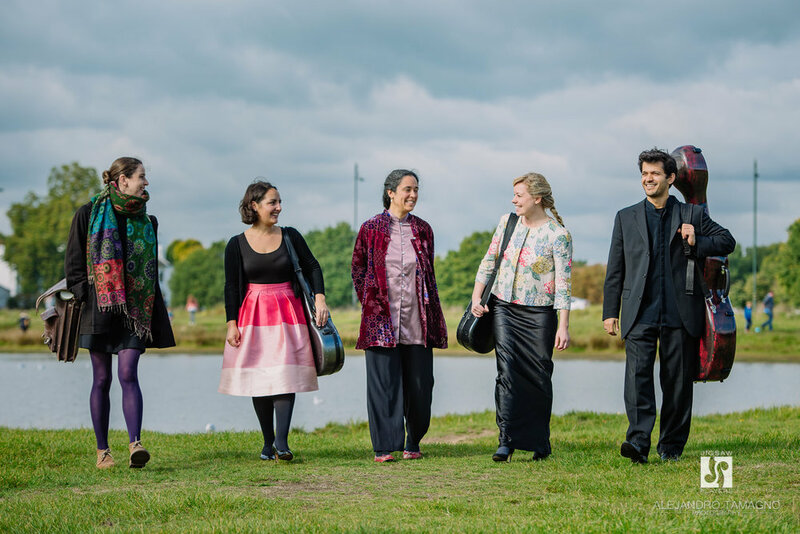 In summer 2019 we hope to hold our first ‘Jigsaw for FREE’ event, an open-air classical and jazz festival in Wimbledon, called 'Estival'. Praised as "magnificent" by Vladimir Jurowski, we have gained the support of the local community as well as from prestigious Patrons such as Principal Conductor of London Philharmonic Orchestra, Vladimir Jurowski, internationally-acclaimed pianist, Jean-Yves Thibaudet, Grammy-winning violist, Kim Kashkashian and two world-famous cellists, both passionate advocates of music education, Julian Lloyd-Webber (Principal, Birmingham Conservatoire), the renowned Steven Isserlis, CBE and globally-recognised conductor Paavo Järvi. The musicians for each programme are drawn from a pool of players, all of them international prize-winners, members of Britain's most prestigious orchestras (Orchestra of the Royal Opera House, London Philharmonic Orchestra, London Symphony Orchestra & Philharmonia Orchestra) or of internationally-distinguished chamber music groups (the Doric, Hieronymus, Navarra and Piatti String Quartets and, amongst others, the Aronowitz Ensemble). "That was excellent, thank you! And right on the doorstep ... 53 seconds to walk home, to be precise!" S.W.